There is a big difference between normal play activities and violent movements that harm a child. Bouncing a child on a knee or gently tossing a child in the air does not cause shaken baby syndrome. Shaken baby syndrome is brain damage that occurs when a baby is shaken or is slammed or thrown against an object. It is a form of child abuse that occurs when the baby's caregiver loses control. Shaking a baby or striking a baby's head can cause bruising and bleeding to the brain. Caring for a baby can be trying at times. You may have periods of feeling overwhelmed, especially if your baby is crying. Many babies cry from 1 to 5 hours out of every 24 hours during the first few months of life. Some babies cry more. You can learn ways to help stay in control of your emotions when you feel stressed. Then you can be with your baby in a loving and healthy way. Take steps to protect yourself from being stressed. Learn about how children develop so that you will understand why your child behaves as he or she does. Talk to your doctor about parent education classes or books. Talk with other parents about the ways they cope with the demands of parenting. Ask for help when you need time for yourself. Take short breaks and naps whenever you can. If your baby cries a lot, try these ways to take care of his or her needs or to remove yourself safely. Try some steps for relieving stress in your life. There are self-help books and classes on yoga, relaxation techniques, and other ways to relieve stress. Counselling and anger management training help many parents adjust to new pressures. Never shake a baby. Never slap or hit a baby. Take steps to protect your child from abuse by others. Screen your potential child care providers to find out their backgrounds and attitudes about child care. If you suspect child abuse and the child is not in immediate danger, contact your local child protection services or police. Do not confront someone who you suspect is a child abuser. This may cause more harm to the child. If you are concerned about a child's well-being, call your doctor or nurse call line. A child is unconscious or is having trouble breathing. A baby has been shaken. 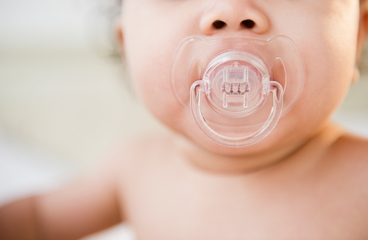 It is extremely important that a shaken baby gets medical care right away. You are concerned that you cannot control your actions around your child. You are concerned that a child's caregiver cannot control his or her actions around a child. Enter H891 in the search box to learn more about "Shaken Baby Syndrome: Care Instructions".